The Milun School of Traditional Kungfu is a Chinese institution where students can continue the traditions of an authentic martial arts training in an open, welcoming environment. Staffed by internationally recognized kungfu champions, we teach martial artists of all ages and abilities from around the world. Small classes ensure personalized attention, a correct technique and a rapid progress. We are an International Institution. You can find us in the most important and cosmopolitans cities in China (Beijing and Shanghai) and in Spain (Toledo). Our curriculum is focused on a fully rounded martial arts training that goes from the care of the physical condition, applied self-defense to the philosophical study. Students train all year-round despite rain or shine, both at the school’s training hall in a Ming dynasty courtyard, and in many of the city’s historic parks in our Beijing and Shanghai schools. And others special places in Toledo. IIn addition to our regular classes, we offer training services for beginners, professional martial artists, and specialized groups in all our schools. Zhang Shengli is an internationally recognized martial arts champion with an unparalleled understanding of traditional kungfu history and philosophy. He has been a head instructor for the special forces of the Beijing Police Academy, performed for the UN in Chicago and been featured on the BBC, NBC and China’s CCTV. Since childhood, Zhang has fully devoted his life to the study of an enormous range of martial arts, including Shaolin, Chinese Kickboxing (Sanda), Shuaijiao Wrestling and Taekwondo. Following his graduation from the Sichuan Athletics University, Zhang took two consecutive national titles in the China Lightweight Men’s Sanda Boxing Championships. 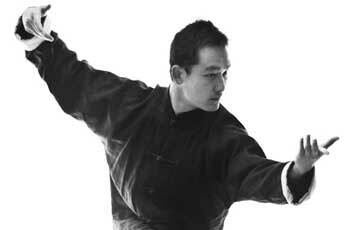 For the last two decades, Zhang’s work has focused on Chinese internal martial arts. After moving to Beijing, modern China’s cultural hub of internal martial arts, Zhang sought out and trained daily with the city’s most famous elder masters of Taichi, Baguazhang and Xingyi. Zhang believes that the study of martial arts is empty without philosophy, and his understanding of traditional Chinese philosophical texts, such as: the Daoist Yi Jing (I-Ching) and Dao De Jing, is deeply evident in his practice. He holds an honorary research mention at Beijing´s University for his work promoting martial arts and culture, and is also a noted Calligrapher whose work is endorsed by the Beijing City Government. With the aim of furthering the perfection of a unified internal and external kungfu practice, Zhang has developed his own renowned style of Taichi, Baguazhang and Xingyi, currently taught and practiced by his students worldwide. Zhang Yuxuan has been the Head Instructor at the Beijing Milun School of Traditional Kungfu since 2004. He is an international martial arts champion and in 2002 won the title in the China Lightweight Men’s Sanda Kickboxing. Zhang has been featured by international media outlets including CCTV, the BBC and NBC. He is a disciple of Master Zhang Shengli. Javier Tirado (Zhang YuAn), born in Cuenca (Spain), is the third generation disciple of Zhang Style Internal Martial Arts. Since 2013 has trained under master Zhang Yuxuan, a second generation disciple of Zhang Style Tai Chi, Zhang Style Xingyi and Zhang Style Bagua. 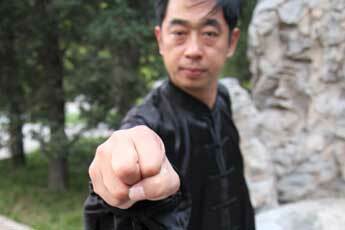 He teaches in Spanish and English the Zhang Style Internal Kungfu in Toledo (Spain). Javier is regarded as a cultural bridge between the western and eastern world. Zhang Baoxuan excels in the ancient art of Xingyi and is a disciple of legendary Master Zhang Shengli. 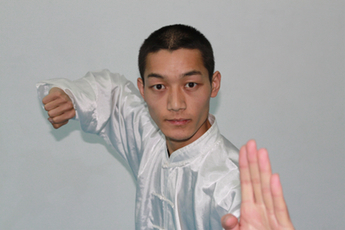 Zhang Baoxuan is a specialist in martial arts-specific fitness and physical conditioning. He has instructed martial artists from all over the world. Zhang Baoxuan is an accomplished Sanda boxer noted for his speed, footwork and agility. He strives to support his students with an open and relaxed teaching style that caters to practitioners of all levels.